We use to carry currency notes in our wallets to shop in the olden days. In the early 19th century currency notes in the wallet were replaced by credit & debit cards and reduced the burden of carrying cash. For several decades we are very convenient in using the bank cards for the payments. With Google Wallet, it’s time to throw away bank cards into a dust bin and just carry your smartphone for all the payment needs. Google Wallet, is a tiny and very power mobile app, works with a NFC enabled mobiles and let you pay the bills by just tapping on your mobile. Paying bills with Google Wallet is simpler and also secure compared to traditional use of bank cards. 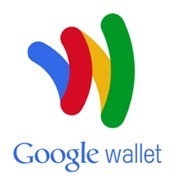 At the moment Google Wallet works only for Sprint ‘s Nexus S 4G customers with CitiBank and MasterCard cards. If you are a Sprint Nexus S 4G customer check this page for more details. By the Google is giving $10 of free credit to the early adopters.